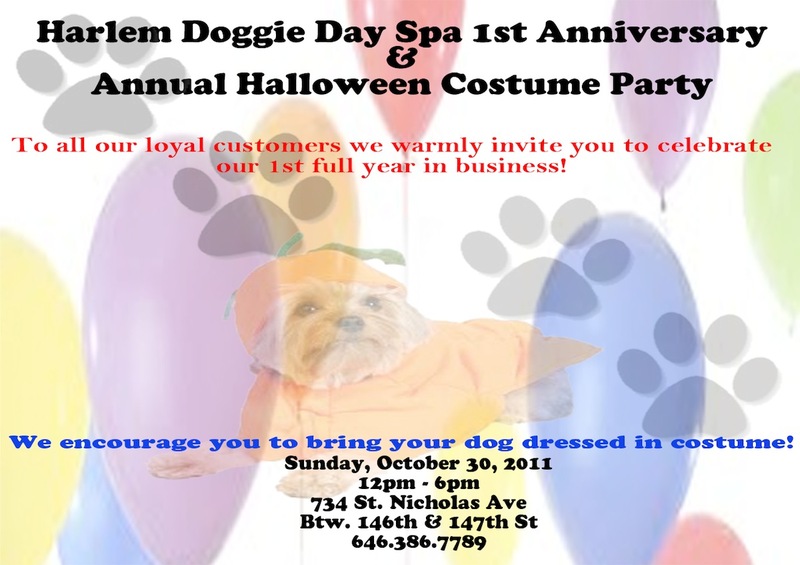 Harlem Doggie Day Spa 1st Anniversay & Halloween Costume Party !!! COME ALL! LET'S CELEBRATE AND HAVE FUN WITH OUR FOUR-LEGGED PALS!